Things have been a bit crazy this month getting ready for EYF, but I'm very happy with how the club colourway turned out this time around! For this month’s inspiration, I chose a woman about whom very little is known. Alessandra Giliani is believed to have been born in San Giovanni, Italy, in 1307, and died at the tender age of 19, possibly due to sepsis. Although the details of her life are mostly lost, she is celebrated as the first female anatomist in the Western World. Giliani worked as a surgical assistant to Mondino de’Liuzzi, the father of modern anatomy, and a professor at the University of Bologna. She was reported as a brilliant dissectionist (prosecutor) and developed a method for visualising the circulatory system by filling the blood vessels with a hardened coloured dye. This is a cast of the brain’s blood vessel network, showing the vast complexity of the structure, and giving an idea of what types of casts Giliani may have produced in her studies of the circulatory system. Circulating blood is typically represented as either red (oxygenated) or blue (deoxygenated), so I chose to take different shades of each of those colours and dye this month’s fibre using a technique that allows them to blend and merge randomly. Sometimes they blend a lot, sometime less so, giving a colourway that is always a bit of a surprise when it comes out of the dyepots! This month’s fibre is my new Sock Blend, a blend of 50% Corriedale/25% Southdown/25% nylon. 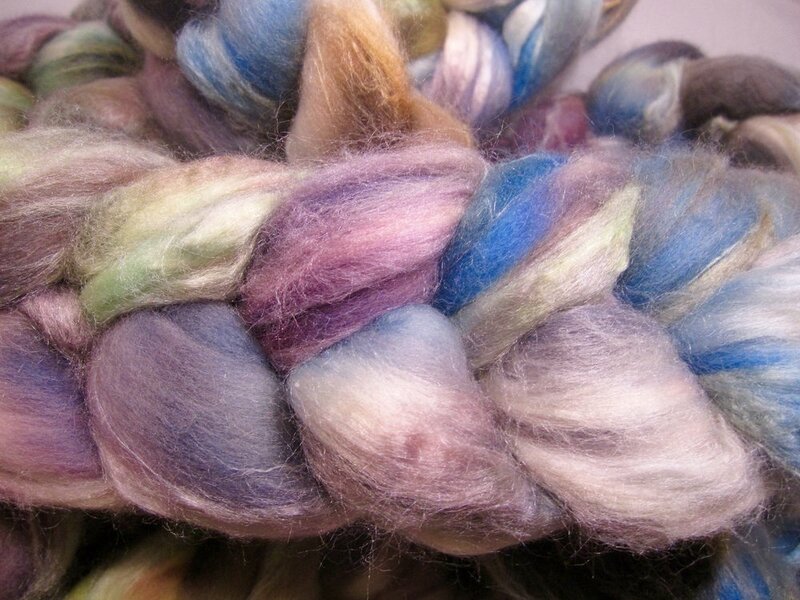 Corriedale is one of my favourite fibres for newer spinners, as it is very straightforward to spin. I’ve added some Southdown, one of the Down breeds, to give a bit more bounce and elasticity, as well as perhaps a tiny bit of resistance to felting. Last, but not least, is a healthy dose of nylon to make a strong, wear-resistant yarn. 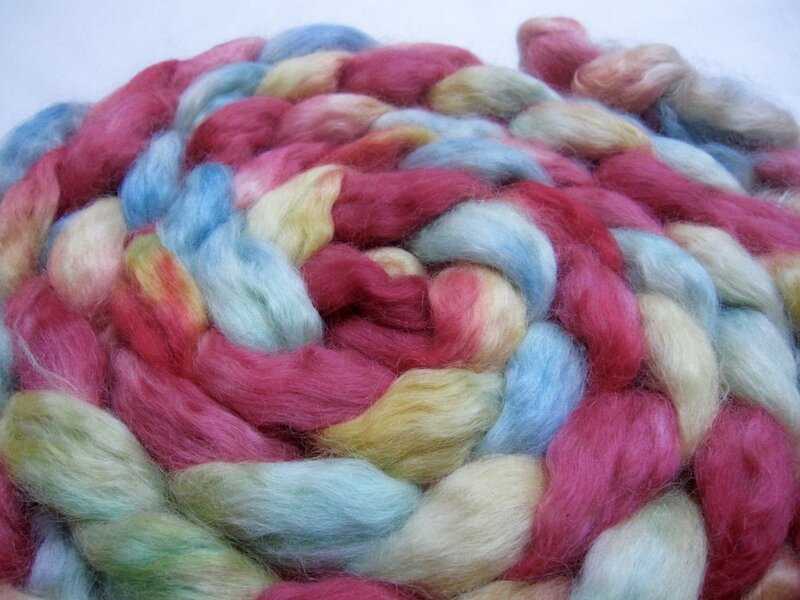 If you do spin this for socks, I recommend lots of twist for the singles and plying – it doesn’t have to feel super soft and drapey in the skein, but it will need to be durable and wear well. You can find more of the sock blend in the Shop if you'd like to try it out!